We do not share your information to a third party. 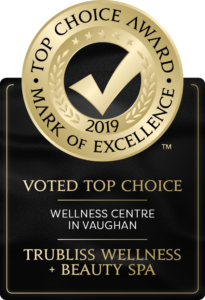 TruBliss Wellness & Beauty Spa operates a website at www.trubliss.ca. It is TruBliss Wellness & Beauty Spa’s policy to respect your privacy regarding any information we may collect while operating our website. The Personal Information collected will be limited to those details necessary for the purposes identified by us. With your consent, we may collect Personal Information from you in person, over the telephone or by corresponding with you via mail, or the Internet.